One of the many benefits of an electronic journal is that it grants us the flexibility to publish additional outstanding papers in response to a special-topic call for papers. Such is the case with volume 1, issue 3. 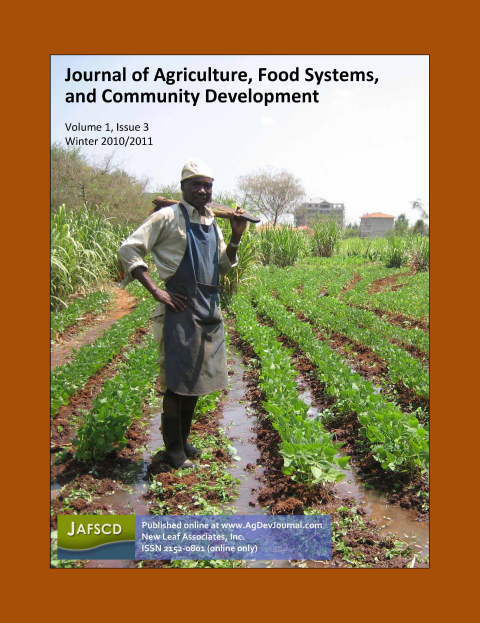 In this issue we offer open-call papers on food and agriculture–based community development, as well as a supplementary collection of papers related to the topic of Urban and Peri-Urban Agriculture that was started in the previous issue. These papers contribute substantially to the breadth of papers found in issue 2 and include the first papers published from Asia, Australia, and Africa.